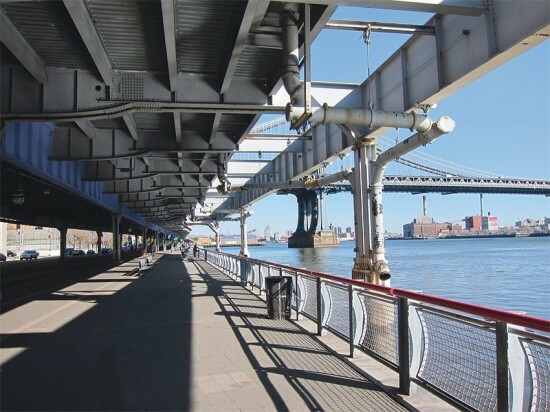 It is by no means a simple problem to solve. Multiple licenses and approvals would be needed from a variety of agencies, including the city itself, the U.S. Environmental Protection Agency, and others. But there is great enthusiasm among experts for trying the experiment. Blue infrastructure is a key recommendation of the Detroit Future City visionary framework and has been much talked about in recent years, but nothing of this magnitude has been done so far in Detroit. 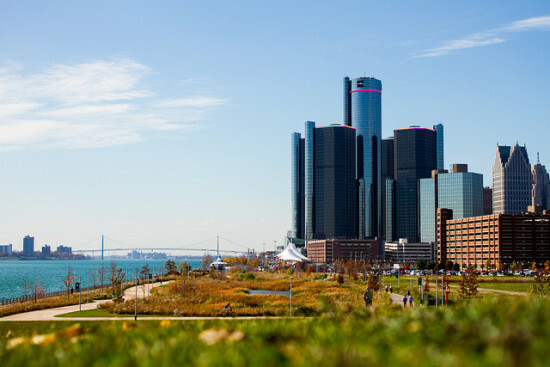 So far, "blue infrastructure" in metro Detroit has meant the creation of porous parking lots and so-called "green alleys" that allow rain and snowmelt to filter down into the ground beneath instead of running off into sewers. Across the nation urbanists and landscape designers are embracing innovative stormwater capture and retention techniques as concerns over climate change, flooding and drought collide with a renewed interest in public spaces and site design. 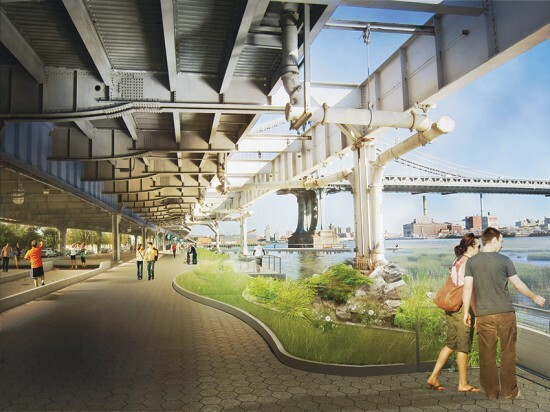 It has been several years in the making, but now the industrial strip along Brooklyn's polluted Gowanus Canal will finally be transformed into a lush and porous green space aptly named The Gowanus Canal Sponge Park that will soak up and filter rainwater to help improve the overall water quality along the waterway. 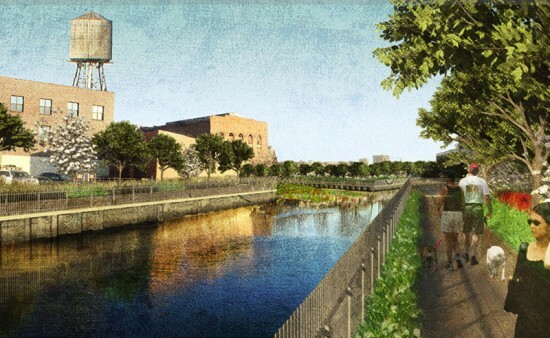 This $1.5 million project, a collaboration between the Gowanus Canal Conservancy and landscape architecture firm dlandstudio, will finally get off the ground with the help of city, state, and federal funding. 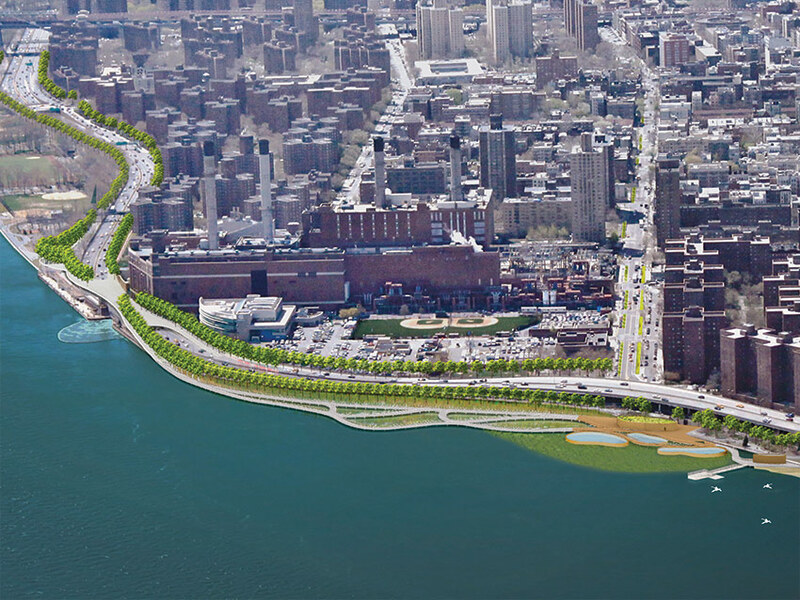 While a full esplanade was initially planned for the 1.8-mile stretch along the EPA Superfund site, Bloomberg recently announced that the city's first step will be a scaled-down park right where the canal intersects with Second Street. 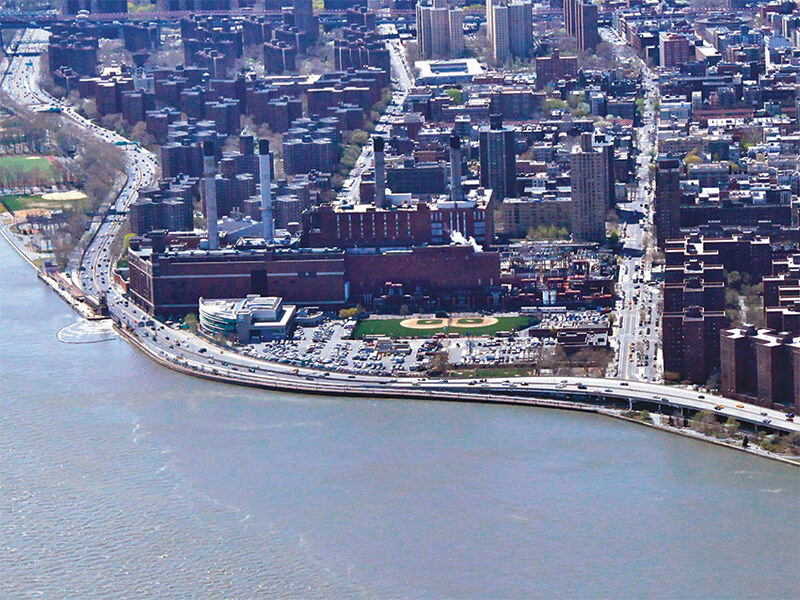 The park takes its name from its "working landscape." Dlandstudio plans on using plants and soils to soak up toxins and heavy metals from the water. The firm will also employ strategies to reroute storm water run-off to keep the sewer system from overflowing and spilling back into the mucky canal. 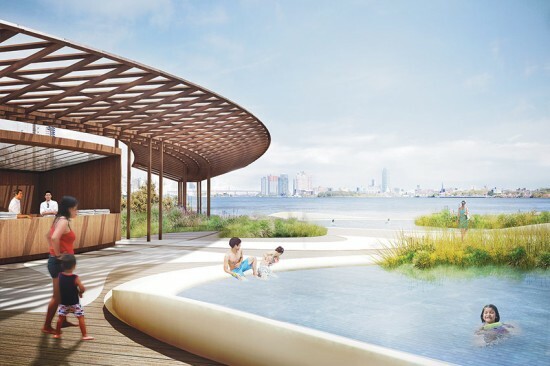 Floating wetlands will also be implemented to absorb contaminants and toxins from sewage. The Daily News reported that the city plans on breaking ground on the park by 2014, and hopes to open it to the public by summer of 2015. 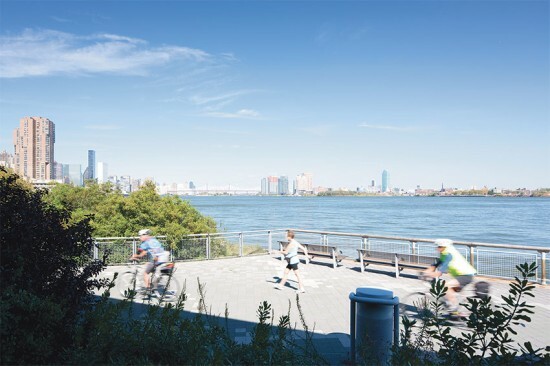 [beforeafter] [/beforeafter] WXY architecture + urban design has a game plan to revive Manhattan's East River waterfront, softening its hard edges with wetlands, beaches, and new pedestrian and cyclist amenities to create a model city based on resilient sustainability and community-driven recreation. 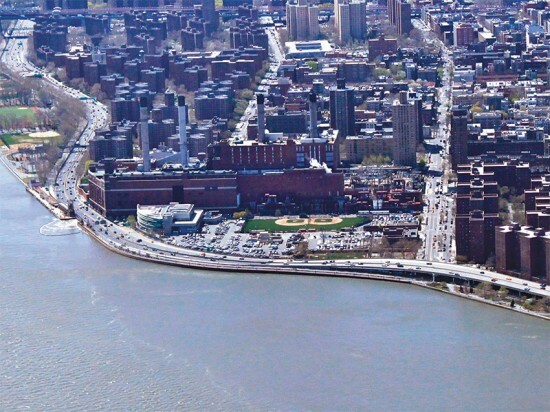 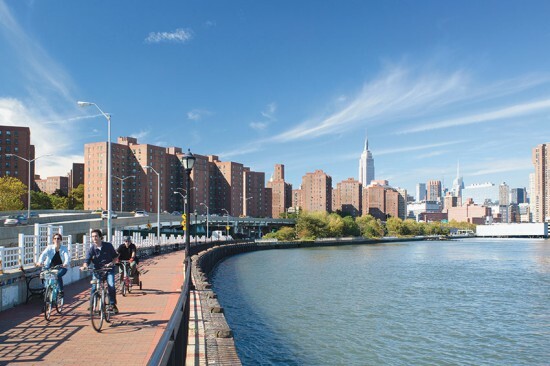 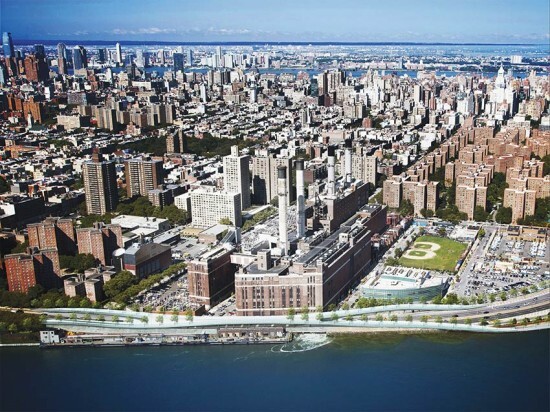 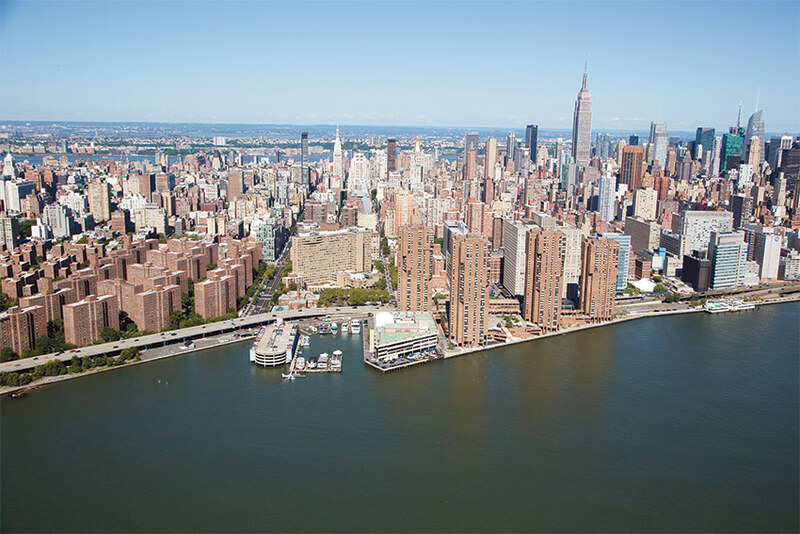 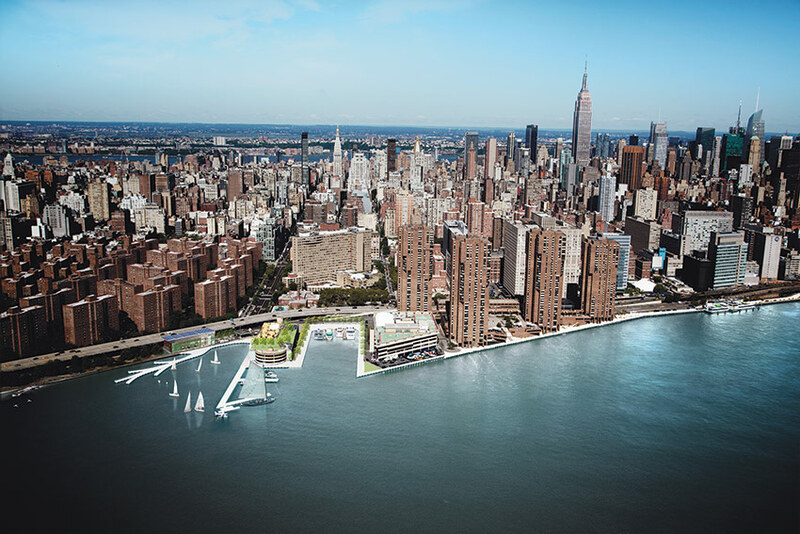 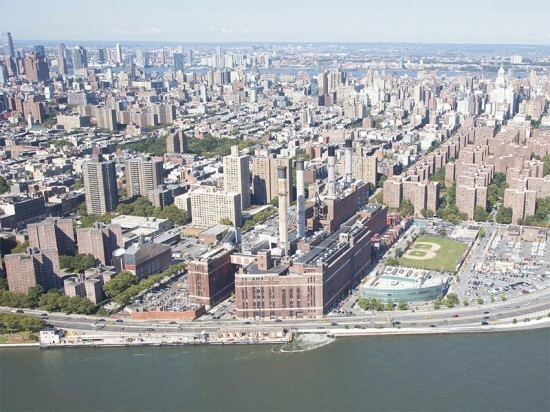 AN spoke with WXY principal Claire Weisz about her firm's East River Blueway plan to find out a new waterfront can help New York stand up to the next major storm. Below, slide between the current views of the East River waterfront and the proposed changes under the Blueway plan. 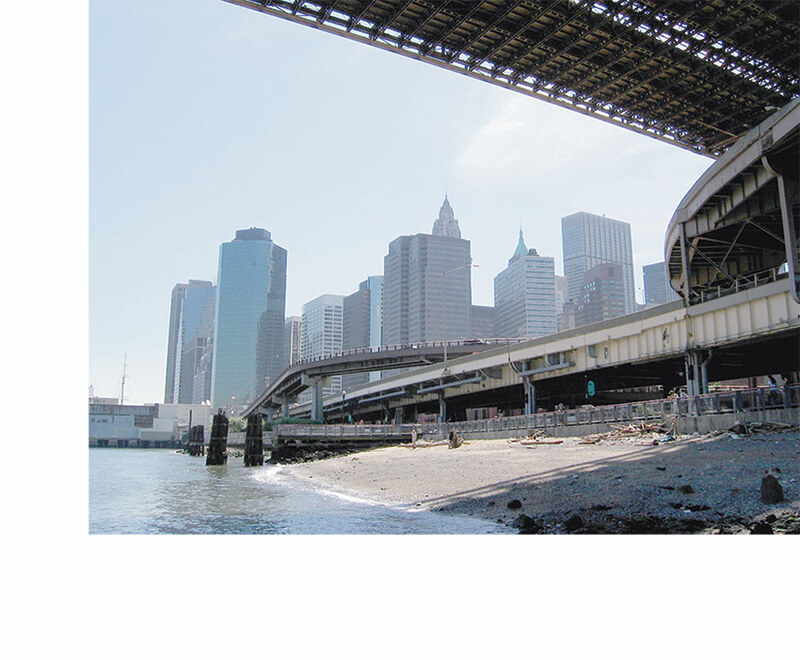 [beforeafter] [/beforeafter] Beneath the Brooklyn Bridge, wetlands will calm the East River's choppy waves and a newly-accessible beach would allow recreational access to the river. 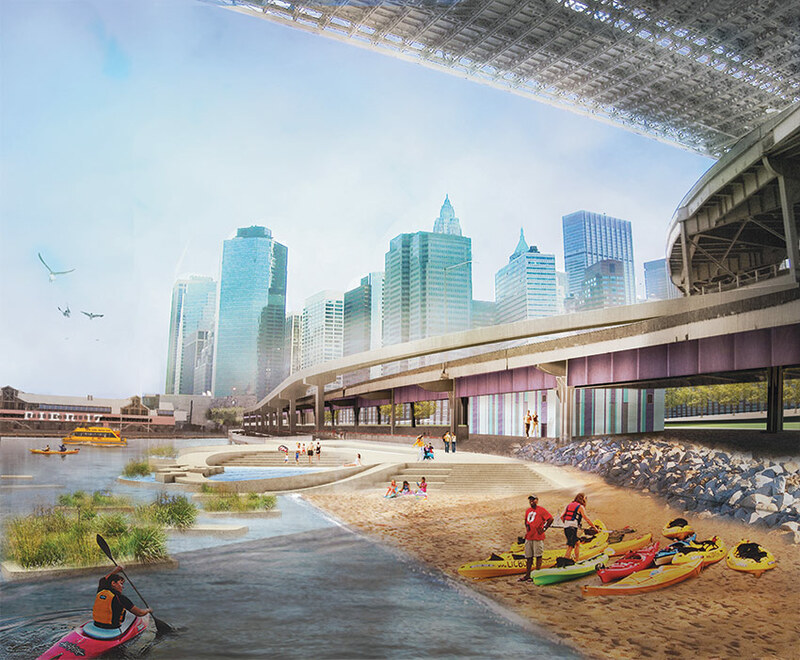 Water-filtering tidal pools allow a cleaner option than swimming directly in the East River itself. 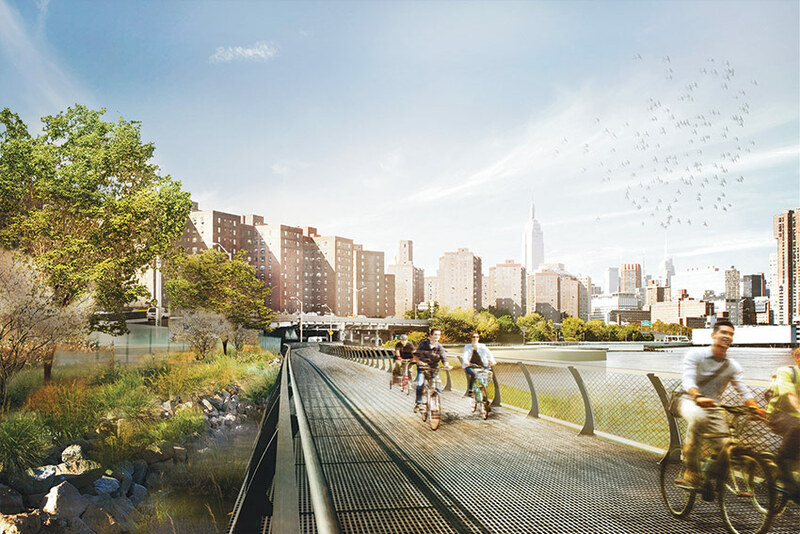 [beforeafter] [/beforeafter] Where pedestrian and cyclist paths are crowded against the FDR highway, WXY proposes building elevated platforms to pull away from the highway and make room for a landscaped waterfront. [beforeafter] [/beforeafter] Beneath the FDR, a tray system holds freshwater marshes that filter rainwater runoff before it enters the saltwater wetland system in the East River. [beforeafter] [/beforeafter] Stuyvesant Cove just above 14th Street includes more tidal pools and wetlands and a more dramatic network of paths elevated over the water. [beforeafter] [/beforeafter] WXY is exploring building a park atop a parking garage on the waterfront and separating motorized and human-powered watercraft on separate piers to minimize conflift. [beforeafter] [/beforeafter] A bowtie-shaped pedestrian and cyclist bridge would offer security and flood protection to the power substation that exploded during Hurricane Sandy while greatly improving neighborhood access to the waterfront.